Gigo Mobile Power Bank 1500mAh with USB Car Charger & Torch Light. - AboutFreeGift.com - free gift, premium gift, corporate gift, promotional items & souvenirs from penang, malaysia. 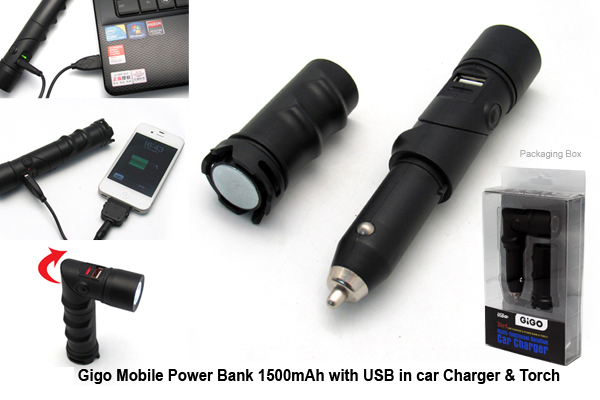 Gigo Mobile Power Bank 1500mAh with USB Car Charger & Torch Light.